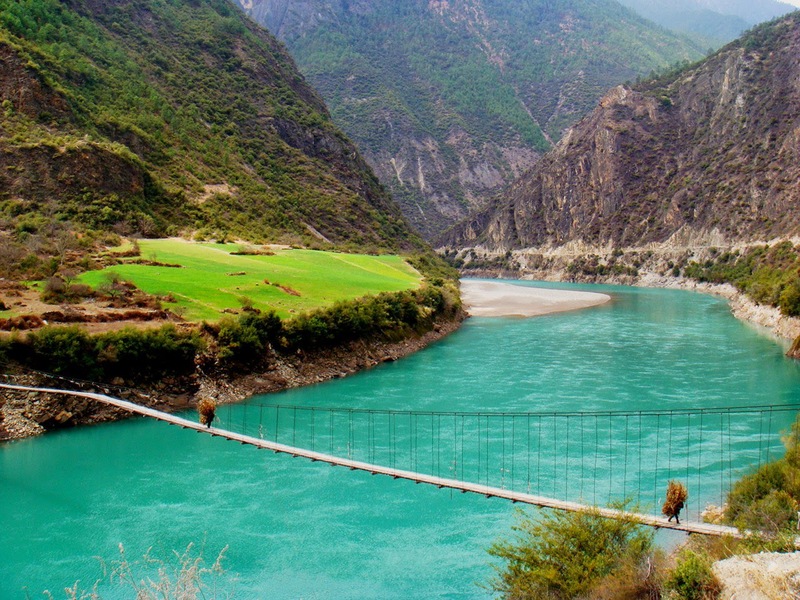 Nujiang Grand Canyon For People Who Love Adventure Tour! 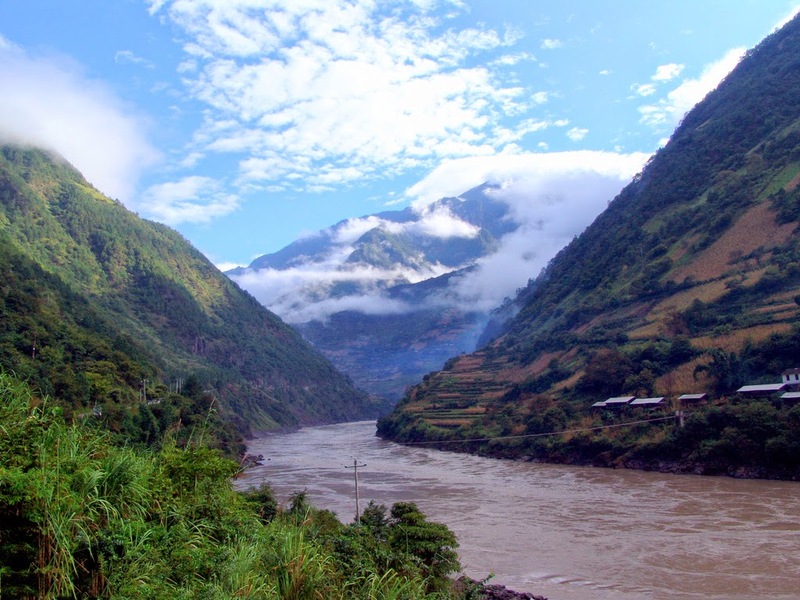 Nujiang Grand Canyon is a world heritage location recognized by UNESCO, in Nujiang, located in the southwest of Yunnan province, People's Republic of China. The mountain range of Nujiang starts from the northwest of Yunnan to Tibet with a small portion pass through the border of Myanmar. Here the gorge is shouldered between Gaoligong Mountain and Biluo Mountain range and pass further through the unexplored terrain of China with huge canyons. The terrain is tough and rough with hostile conditions. The Nujiang River is part of the Three Rivers Natural Reserve of China which originates from the foot of Nujiang Mountain. The location though beautiful has for not been a popular tourist destination due to the inaccessible difficulties. But nevertheless, you can find people living here and engaged in farming. Generally found communities are Nu and Lisu people who live in wooden huts and shelters on the eaves of the mountain or on the top of the ranges. Narrow sling bridges are the only means of crossing over the river to the other side of the village. The hanging bridges are made of ropes linked with wooden planks connected and tied with tree trunks and or by the suspended overhead cables connected with both end of the river. 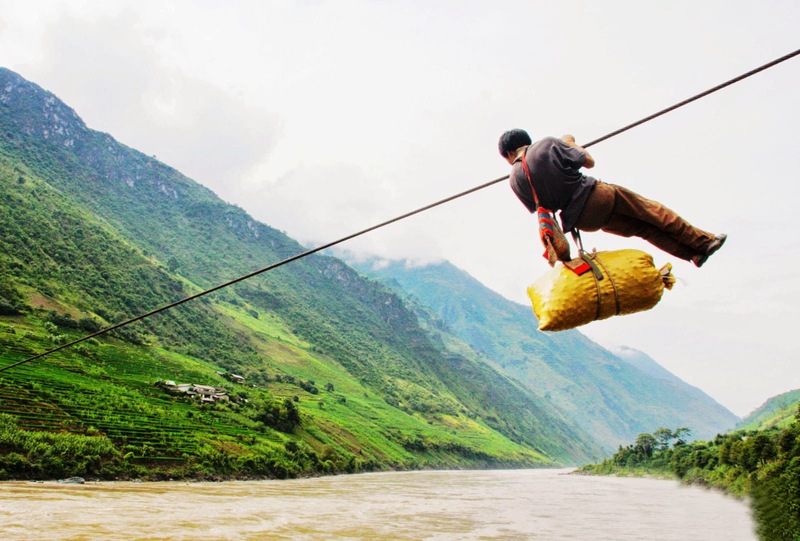 The cables are tied with huge tree on either side and crossing the river required good balance and acrobatic skill. This is a good location for people who are interested in to adventure tourism. Trekking all the way, crossing through the suspended rope bridge, like a circus expert would be an everlasting travel experience in your life. The impossible lands and exploring through unimaginable locations are like untold stories. What not to say, the sceneries are beyond comparison. Just cross over the terrain of Fugong and Gongshan, you can see the magnificent steep cliffs, crystal clear green water river, the waterfalls and wild flowers are mesmerizing experiences. You can find strange religious experiences and practices prevailing in the village community. Buddhism, local religions and Christianity are being practiced by the villagers and you can find different faith people living in the same family. Lisu community is one of the famous minority communities in China whom are living in the Nujiang Lisu Autonomous Prefecture. Apart from Lisu, there are more than 10 other religious minorities are living in the prefecture. The notable minorities are Nu, Dulong, Han, Pumi and various Tibetan Groups. All these minorities altogether is about 92% of Nujiang's total population. Nujiang Grand Canyon is about 14,000 square meters area known for its mysterious unexplored terrain. Scope of adventure tourism has recently brought this prefecture to an attractive tourist spot. There are so many thrilling locations you can find here. The famous location "Stone Moon" by all means a wonderful extraordinarily land mark. 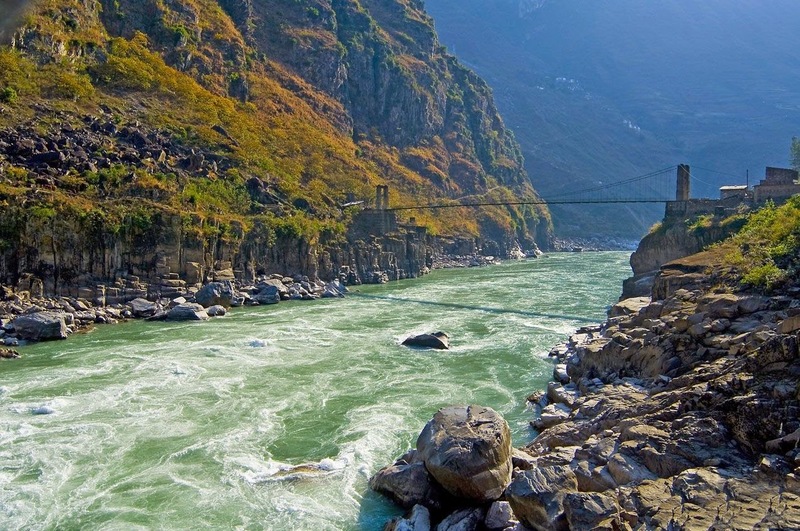 Nujiang River originates from the mountain of Tangula, flows 3,200 meters down through Qinghai Province, crossing Myanmar and ends in to Indian Ocean. In winter the river and streams flow slowly due to ice formation. 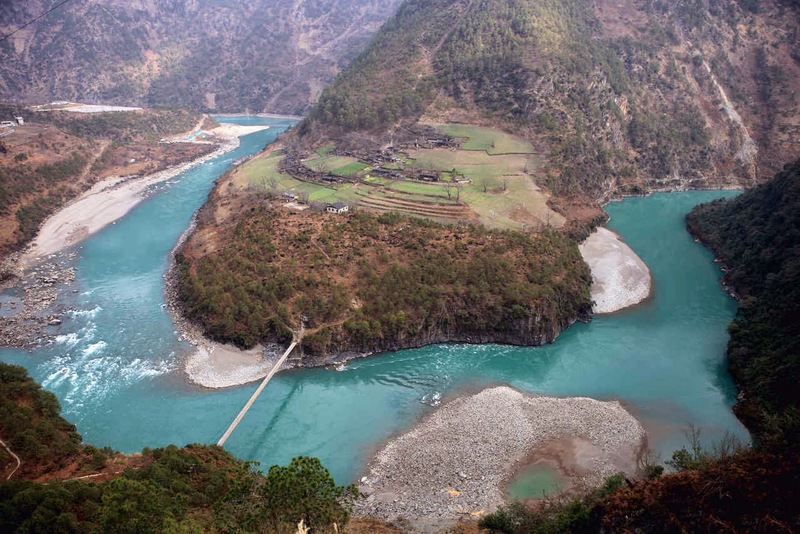 However, from the Tiger Leaping Gorge, the torrents plunder down with all its might even during the winter season is a good experience to watch. Both ends of the river are connected with suspended ropeways. An impossible experience one would always like to keep in memories especially if you are adventurous in nature, you will definitely love this place!